Home security is something everyone wants, but no one knows the best way to go about it. With there being so many options in today’s market, it is hard to nail down what the most effective way to deal with this problem. Hub6 based out of Toronto have a disruptive concept, Safe, and if they can expand the compatibility it has the potential to disrupt the full security space. 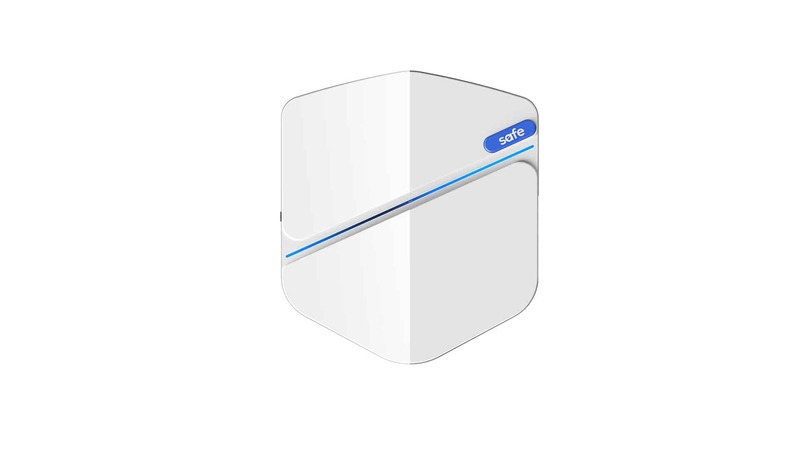 Safe is a shield-shaped device that sits between your home connection and you’re already in place system. 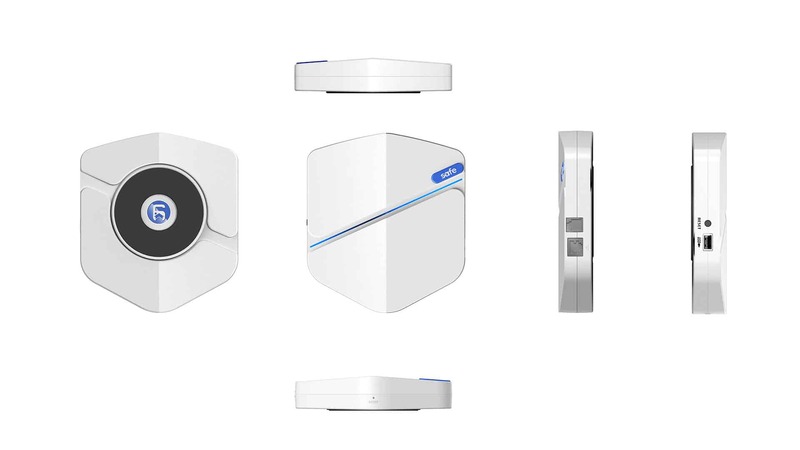 The Safe plugs easily into your already in place home security system, and once installed everything related to your home can be seen from the companion app. While you do have to ensure you have a compatible unit (list of units) and it will involve some slight wiring to get everything up and running, once done the hardware really never needs to be touched. Safe by Hub6 is really built as a replacement for an already installed service. Where traditional home security has you pay a monthly service for a team of people to make calls and check on things when an alarm goes off, Safe uses your phone as a gateway to all aspects of your home. If there is a break in, or someone is in your home when you are out, Safe will alert you, and you can make the call to the authorities that best fit the situation. Safe is connected to the internet via wifi, but also ensures it has a sim-free network connection that gives you the peace of mind needed, especially in the situation the power or wifi connection is cut. In our testing, I was amazed at how simple the system was to get up and running. All in, including unpacking etc, the system was installed at our test space in around 20 minutes. We were then able to play around, test each sensor present in the system, and Safe managed to read them all without issue. It should be noted we did have one of the DSC systems that are currently compatible, although when talking to the team at Hub6, they are looking to expand this list as time goes on. The center of the experience is the app, and this is why I was so pleased with the execution and presentation of everything. From setup to using the system, Hub6 have done an amazing job building the app for ease of use in mind. It was also amazing to see it can work with other smart home devices, making the Safe app a new hub for your smart home. The app also does a fantastic job outlining any potential issues that may be present, giving you the options to act according to your best judgment. If that were not enough, Hub6 is also looking to take the community watch approach to the Safe ecosystem, allowing neighbour or people so they can get alerts of activity in nearby houses, or just to help keep an eye on a house when the homeowner is away and can’t. In theory, the app gives all the tools needed to take the community watch concept to a new level, but that remains to be seen, along with a level of device penetration to allow this to be a real game-changer in the space. Since not everyone has a friendly neighbour or neighbours at all depending on where your house is, Hub6 also offers a monitoring service for £10 a month to allow you to have the piece of mind while away, knowing someone is watching out for you. While it is too early to say how disruptive Safe will be, but from my experience, it has changed how I view security. The ease of use and the ability to run it all from an app has made it a thing I no longer worry about, and the added smart home features are a bonus on an already robust package. The limited security system support at present is a bit concerning, but with DSC being one of the biggest system providers on the market, it should not be too concerning for most users. If you have the ability, and no longer want to deal with the big companies, you can’t go wrong with Safe by Hub6.